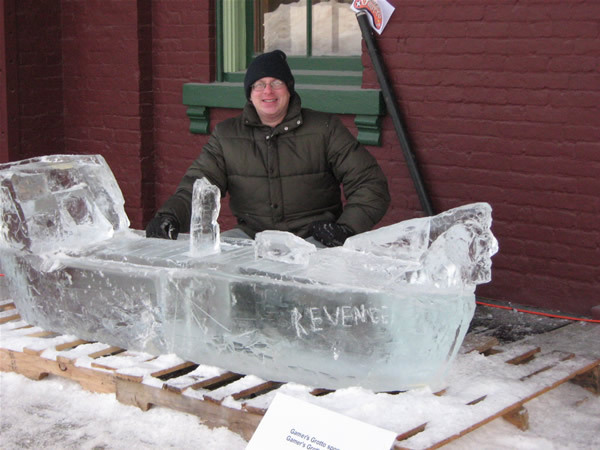 For a change of pace, I helped out with a local ice sculpture contest on Saturday. 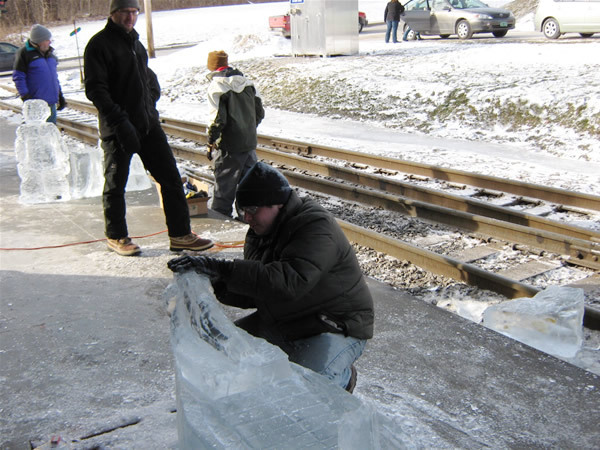 Have I ever carved ice before? Heck no! But the Geek Bar sponsored it, and a friend asked for volunteers. We didn't win (that went to the guy who brought power tools), but I think we did pretty well. As you look at these pictures, it should be noted that I spend a total of an hour working this, while the Primary Artists worked more than four hours each. So any glory I get is pretty much riding on their frozen coat-tails. Some people weren't quite sure what it was (working in a clear medium is more difficult than it appears), so I carved the name of the ship in the hull. I think that helped people figure it out. Adventures with pyramids, who could say no? Pyramid is an early adventure for the first edition of Dungeons and Dragons. It's a good adventure with many solid ideas, and, rather unusually for a D&D adventure, an sense of humor. 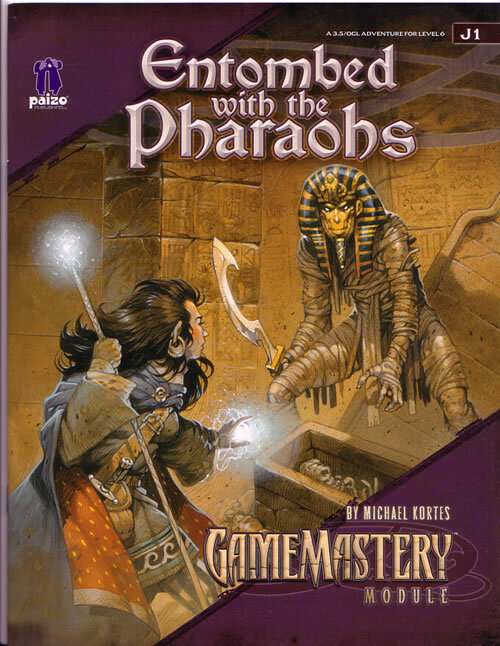 The adventurers are begged by the ghost of the pharaoh Amun-Re to rob his magically-trapped tomb. There's a lot going on inside, including excavation by spoon, and Amun-Re's remaining priesthood, which still lurks in the pyramid itself. 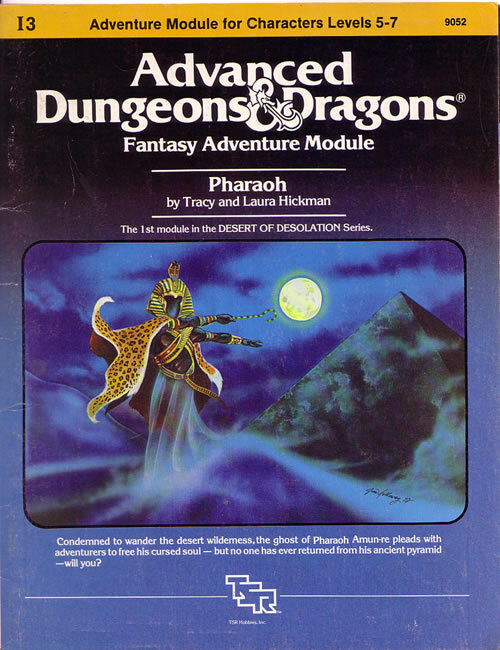 I was very excited to hear that Paizo's Pathfinder game was going to include a close parallel to Egypt called Osirion. One of the first adventures they put out involving Osirion was J1, Entombed with the Pharaohs. Adventure structure has changed a great deal since Pyramid was put out. The adventurers expect to be interested in the adventure, not placed at the edge of a desert thanks to actions they had no say in. So there's background, a bunch of stuff that happens before the party even gets to the pyramid, which affects what happens when they're in the pyramid. Quite notable is that the adventure does not stop when the tomb-raiding does. There are hints and riddles of things that may come to pass in the campaign, if the Game Master wishes. It's a nice way to layer on experience, allowing the literary device of foreshadowing in the campaign. yes, I am one of those snobby players who thinks that virtually any literary device can be used to enhance play in an RPG scenario. 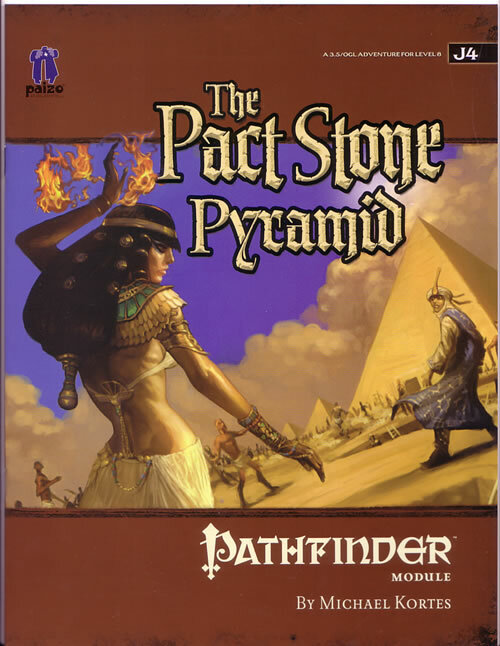 Paizo's follow-up has several structural similarities and some very interesting differences from Kortes' first pyramid adventure. Again with the wacky magical traps (and I like wacky magical traps), but there is a logic to these, because this pyramid was meant to be accessed from time to time. As such, it's got a very different feel from the previous two adventures. Also like Entombed with the Pharaohs, there is a breaking of the walls, a hint at something in the scenario that is beyond the confines of the adventure. 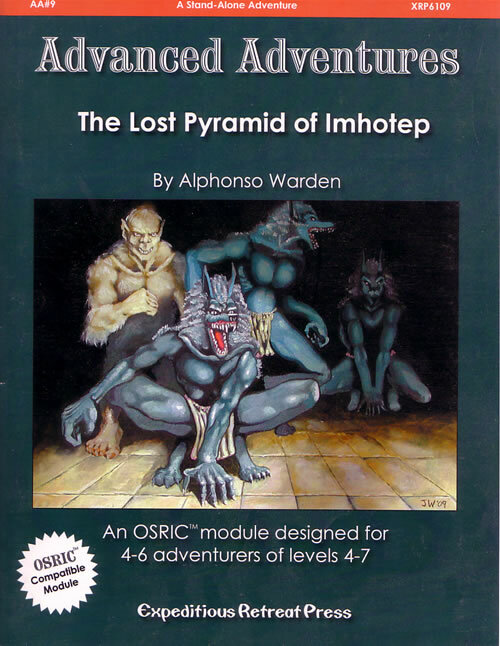 It was kind of a shock to read The Lost Pyramid of Imhotep and realize how like the majority of first edition D&D scenarios it was. It's a dungeon crawl; go in, kill the monsters, avoid the traps. There's a lack of description that I find is good for the immersion experience. The monsters, complex traps, and other immediate goals are well described, but there's a flatness to it that leaves me cold. I seem to have discovered a pattern for myself. During the waning of the sun, I start to noodle around with Ancient Egyptian books and games. This year, it's Children of the Nile: Alexandria. 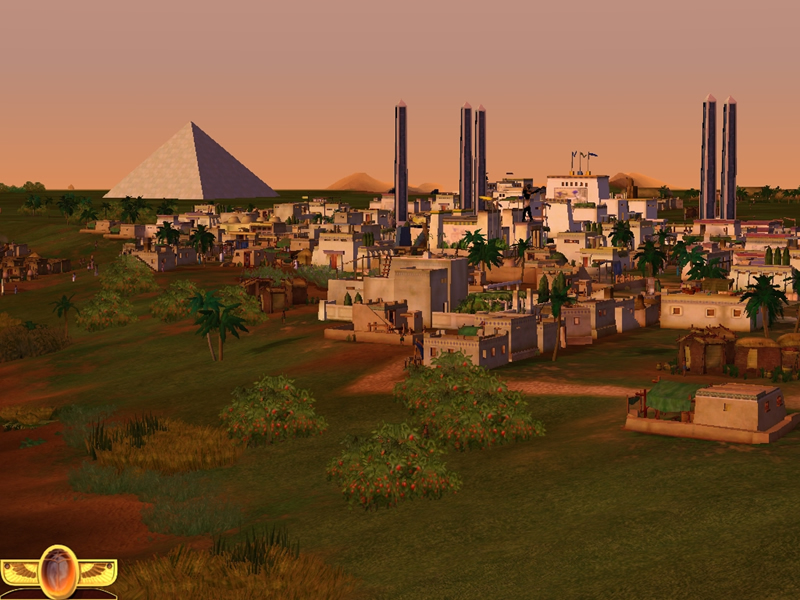 I've enjoyed the Simcity-style building game Children of the Nile for many years, and just purchased the expansion. I love watching my little people build temples, monuments (mostly to my greatness), and tombs, creating a thriving economy. Perhaps the adoration of virtual citizens is having the right effect. I've sent off two manuscripts in the last two days, and will be sending out a third today. 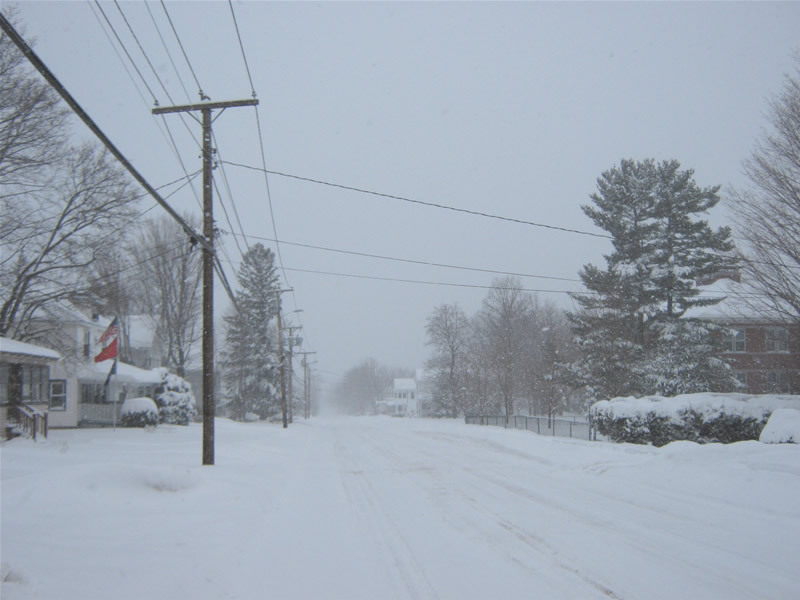 "And along in the Summer, when you have suffered about four months of lustrous, pitiless sunshine, you are ready to go down on your knees and plead for rain--hail--snow--thunder and lightning--anything to break the monotony-- you will take an earthquake, if you cannot do any better. And the chances are that you'll get it, too." This is not a complaint about the weather. I missed the snow, and would rather have it than an earthquake. 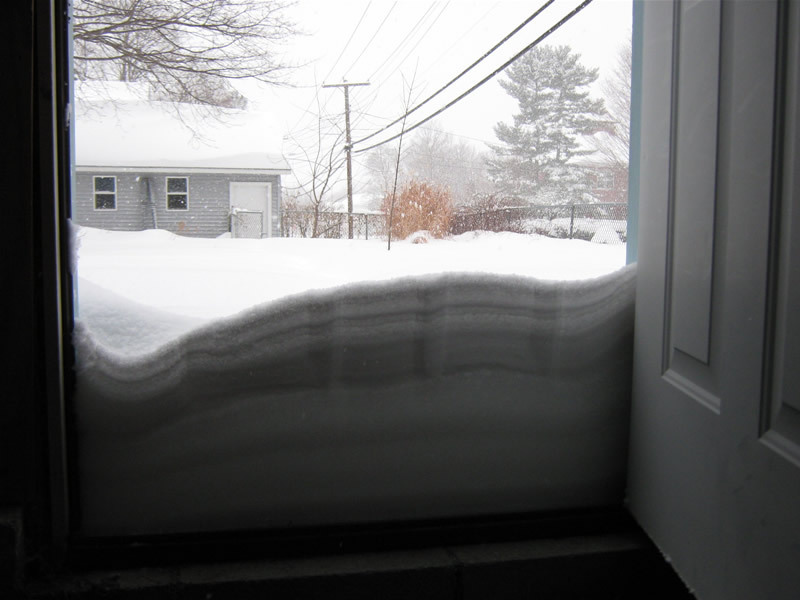 That said... we've had a bit of snow.